If you came here from Part 5 – Final Race Prep, you’re up to speed on how this story has evolved. If not, I suggest you start at Part 1 – Background. When we last left our heroes, they had survived a 2-day thrash to replace the blown engine with a used street motor they found on eBay, gotten it running reasonably well after finding and fixing two mistakes (an upside-down shifter and a disconnected spark plug wire), and received a gift from the race officials when they got credit for a full lap after their last-chance practice session was red-flagged for a civilian medical emergency. Meanwhile, back in the states, my alarm is set for 3:00am – the race is scheduled to start at 3:30am my time (11:30am, UK time). Yeah, not much chance that I’ll sleep tonight. Learned from Twitter that the start time is delayed by one hour because of wet conditions – expected to clear in time because of high winds. That’s a mixed blessing for sure – dry=good, windy=bad. 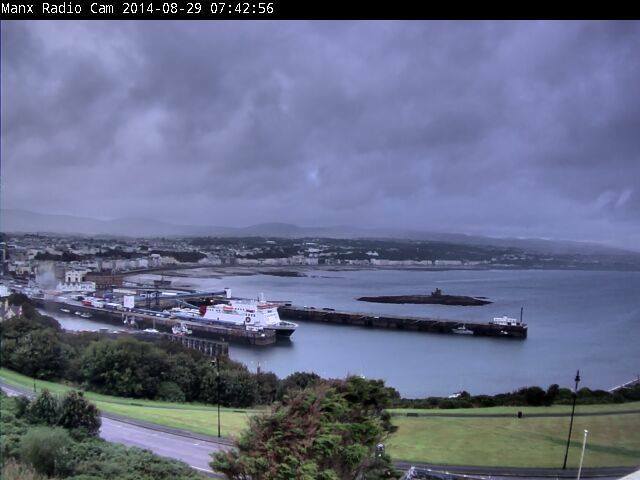 I found this web cam view of Douglas Harbor on Race Day morning on the Manx Radio website. Looks pretty gloomy! In addition, I have two close friends who are awake and following it with me: Terry K., who got invested in the event over beers and dinner earlier in the month, and Sarah J., who assisted with Wade’s rehab from his ankle injury. They both had the same resources as I and we were communicating via text. 4:30am – 1st rider has left the start line.The riders leave in 10 second intervals (in numerical order) to avoid crowding on the course. Wade is #89, so he’s scheduled to leave 880 seconds (roughly 15 minutes) after the first bike. 4:45am – Wade left the start line as scheduled (confirmed by electronic timing). Here is a YouTube video of the the start line. Skip ahead to 14:44 and you’ll see Wade leaving, right on time. The eBay engine sounds rather healthy, all things considered! Now I’m obsessively refreshing my laptop browser so I can watch for Wade’s transponder to trigger each of the 6 checkpoints around the track. What a cool system this is. On the live timing website, you choose the rider(s) you want to follow. When the dots appear on the maps, your rider is highlighted in yellow. By the time Wade got to the third checkpoint at Sulby, it occurred to me to take screen shots so I could later document my stress with a time-lapse video. Keep in mind that Rich had none of this technology available to him – he just had to wait 25 minutes per lap and hope that Wade showed up again. 5:08am – Wade completes his first lap. By this time, the leaders (who are 15+ minutes ahead of Wade) have not only completed their first lap, but are well into their second laps and are capturing most of the attention of the Radio TT announcers. They do to their best to throw in mention of the back-markers, hence this AWESOME moment from the radio feed: “Here comes #89, the bike with the eBay engine.” THAT’S US!!! 5:30AM – Wade completes his second lap and enters the pits for his mid-race fuel stop. This photo is taken during that pit stop. Rich is the guy behind the rear wheel. Wow, now the stress level kicks in for real. The last place Wade’s transponder checked in was Glen Helen. There are two crashes between there and the next check point (Ballaugh), and we don’t have any idea exactly where. Is he one of the crashes? Did the engine blow and cause one of the crashes? Is he ahead of or behind the crashes? I refresh my browser compulsively, hoping #89 will check in at Ballaugh. No such luck. 6:05am – Crash details: 3 bikes at 11th Milestone, 1 bike at Bishopscourt, all riders transported to hospital (Twitter and Radio). 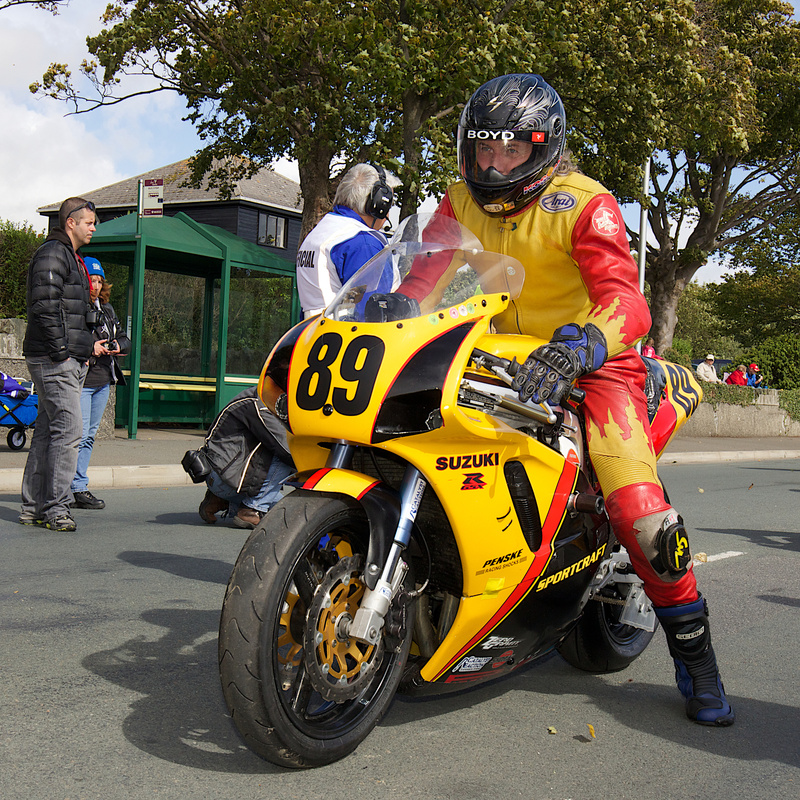 This helps a little, because both locations are much closer to Ballaugh than to Glen Helen. Since the red flag was thrown so soon after Wade’s transponder check-in at Glen Helen, I dare to raise my hopes that he hadn’t had a chance to get nearly that far. I was doing my best to (a) keep Rich informed during this 73 minute information gap and (b) maintain my own sanity, and I’m extremely grateful that despite the hour on the west coast, I wasn’t alone – Terry and Sarah were right there with me, texting and hoping and wringing their own hands. Here’s what it looked like on the live timing site (Wade is the yellow dot). I added some sound effects to enhance the experience (after all, I was listening to the live radio feed) and I obviously compressed the time frame – each photo (5 seconds) roughly equals 4 min in real time. 7:50am – I’m still waiting for confirmation that he’s actually made it back. Hoping that they’re just too busy packing the shipping container, and assuming no news is good news. My second biggest fear even after I knew he wasn’t IN the crash, was that the replacement motor had also blown and CAUSED the crash. That’s why it was so important to know that he was able to ride it back to the pits. Next up: Part 7 – Aftermath, Race Photos, and What’s Next? 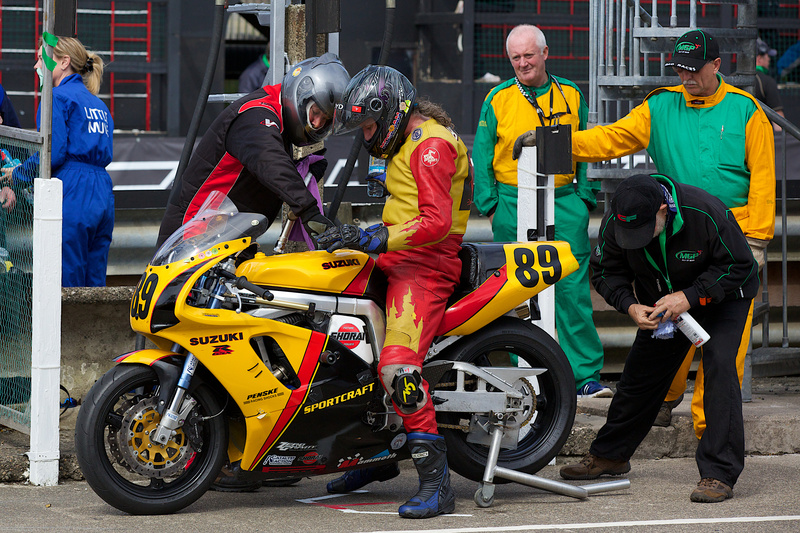 This entry was posted on Sunday, May 10th, 2015 at 5:16 pm and is filed under Isle of Man. You can follow any responses to this entry through the RSS 2.0 feed. You can skip to the end and leave a response. Pinging is currently not allowed.